As an established supplier of both new and refurbished spare parts for SCR Systems, Zeefax is able to manufacture and refurbish Foot Throttles, as used on drilling rigs. The severe environment on rigs often leads to a deterioration of both electrical and mechanical performance of Foot Throttles, requiring removal of the unit followed by factory refurbishment and renovation. 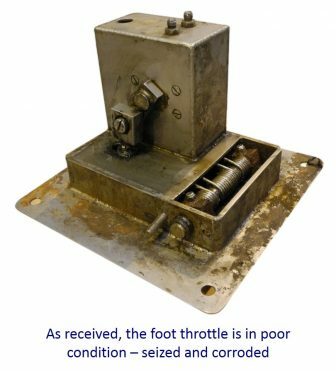 Typically, units arrive in poor condition – totally seized and unusable; they are then completely disassembled, thoroughly cleaned and de-scaled, and are fitted with new bearings, bearing blocks, hardware and seals, prior to re-wiring and calibration. 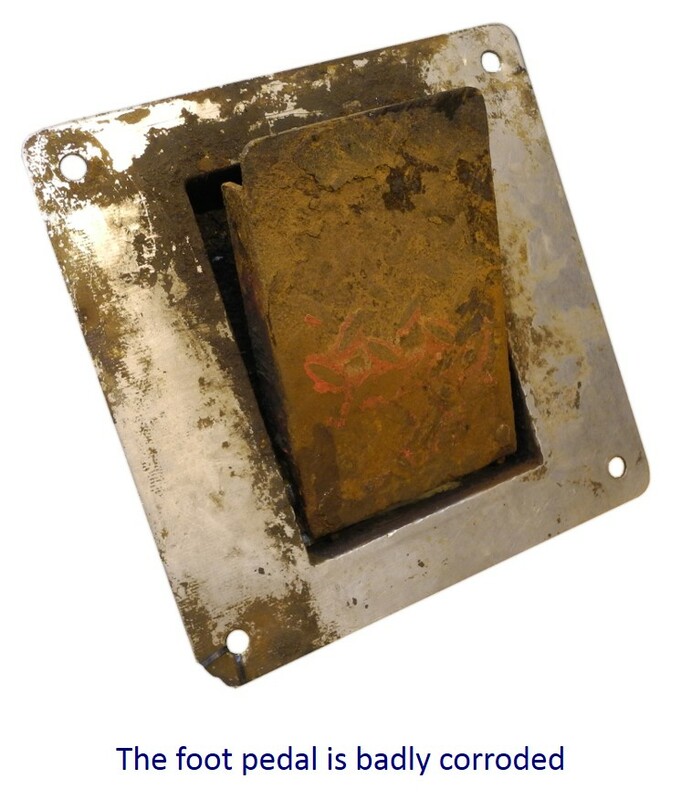 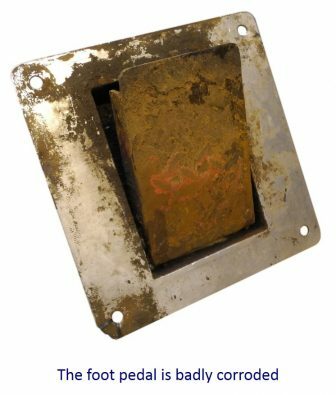 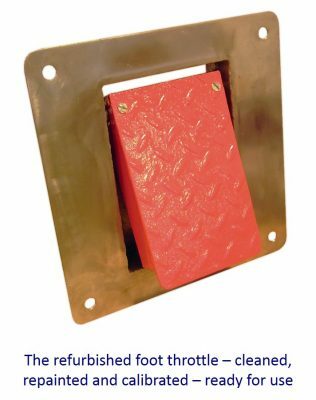 Zeefax is able to provide both factory refurbishment of existing Foot Throttles and in cases where the deterioration is too severe for refurbishment, we can supply a brand new replacement to meet specific requirements. 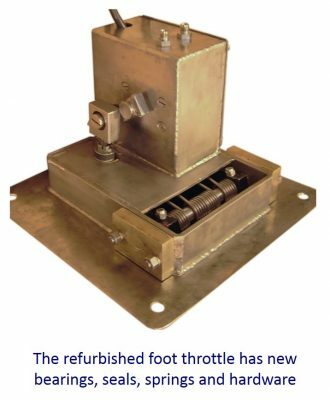 If you would like to know more about the range of available Driller’s Foot Throttles, please call or email us, and we will be pleased to assist.